She used to spend her time perfecting judo throws with Olympic silver medallist Gemma Gibbons, but on Tuesday night teenager Rachel McLachlan will be looking to make turnovers on the rugby field as Scotland host Canada at Scotstoun (7pm). The 19-year-old only took up rugby 14 months ago after 11 years focused on judo and in recent times she has greatly impressed national team head coach Shade Munro with the way she has adapted to her new sport of choice. So much so that, after a competent debut off the bench in the loss in Italy earlier this month, he has handed the Glasgow Caledonian University student the number seven jersey for the visit of the fourth best team in the world. Originally from Edinburgh, McLachlan competed in judo for over a decade and reached a pretty high level before opting to move to rugby. The former Boroughmuir High School pupil said: “In judo Gemma Gibbons was my biggest inspiration. I saw her at the Olympics in 2012 [where she won a silver in the -78kg women’s event] and that was when I decided that I wanted to get involved in judo competitions. 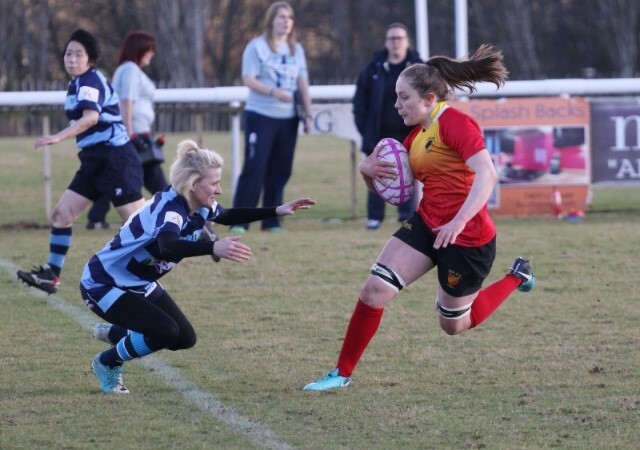 McLachlan started her fledgling rugby career with the university team and then joined West of Scotland where things really began to take off for the physiotherapy student. “I then got into the PDP [Performance Development Programme] with Scottish Rugby in February and since then I have been involved with the full Scotland Sevens team and now the XVs squad,” McLachlan, who now plays for Stirling County, explained. "It’s quite overwhelming. It is mad when I look back on it, but I’m so thankful that I’m in the position I am in now. The first time I played 80 minutes I was shocked. I like physically, handling and stuff, but I found it quite difficult to start with. There is a lot of thinking on your feet and I had to try and learn quite quickly, but I really enjoy the game. McLachlan is one of two changes to the Scotland starting XV, key No.8 Jade Konkel back after a long-term shoulder injury to win her 33rd cap. Prop Mairi Forsyth and winger Bryony Nelson could debut off the bench too, but the Scots know they need to vastly improve from their 38-0 loss in Calvisano to Italy last time out. Canada make several changes from their game against Wales, including Irene Patrinos starting as full back and Tausani Levale, who earned her first cap on Saturday, starting in the inside centre position. In Patrinos debut against England ‘A’, she went 5-5 on conversion attempts. The match is live on BBC ALBA and will form part of a celebration of women and girls rugby. Shawlands Academy and Biggar High School go head to head in schools finals at 2pm (under-15s) and 3.30pm (under-18s). Scotland: Chloe Rollie; Lauren Harris, Lisa Thomson (C), Helen Nelson, Abi Evans; Lisa Martin, Mhairi Grieve; Lisa Cockburn, Lana Skeldon, Megan Kennedy, Emma Wassell, Nicola Howat, Siobhan Cattigan, Rachel McLachlan, Jade Konkel. Subs: Jodie Rettie, Siobhan McMillan, Mairi Forsyth, Lucy Winter, Louise McMillan, Jenny Maxwell, Bryony Nelson, Annabel Sergeant.